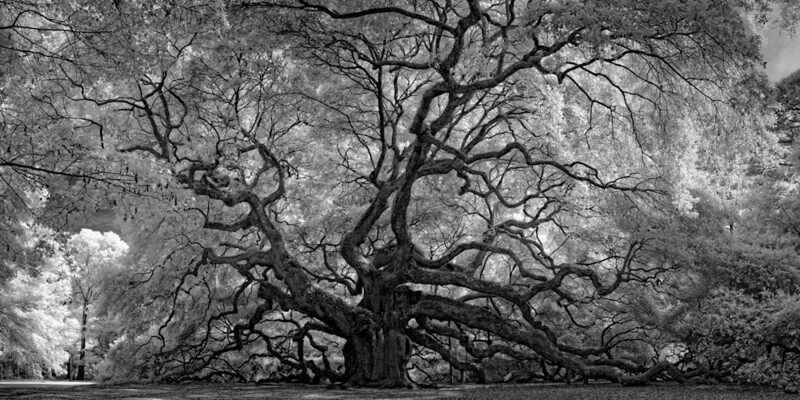 "Captured by Jorge de la Torriente, this one of a kind shot of the famous Angel Oak Tree will entrance you from up close, and afar. The Angel Oak is believed to be in excess of 1,500 years old. The massive, draping limbs and widespread canopy creates an aura of an angel. Angel Oak Limited Edition fashions an ambience like no other. "